The taste of fall has arrived in my home. 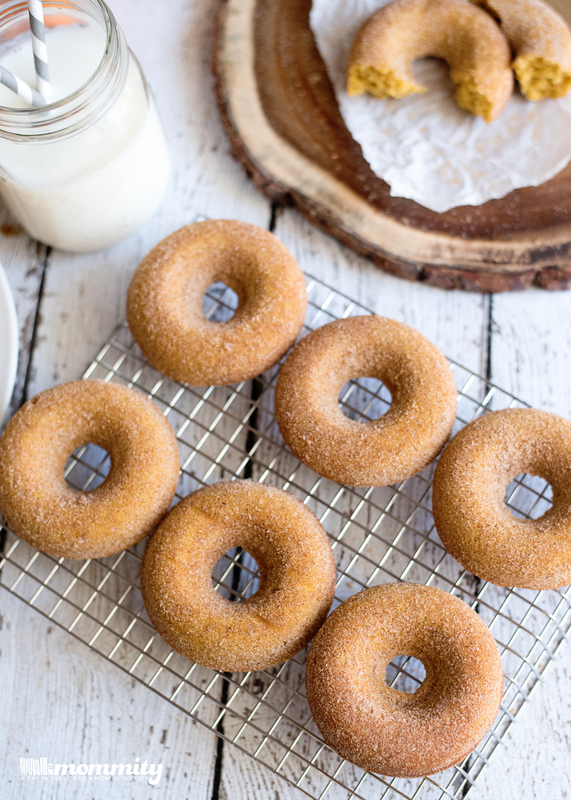 Baked pumpkin spice donuts have been on my mind and today was the day to make them a reality. The difficulty level of these donuts is super easy. 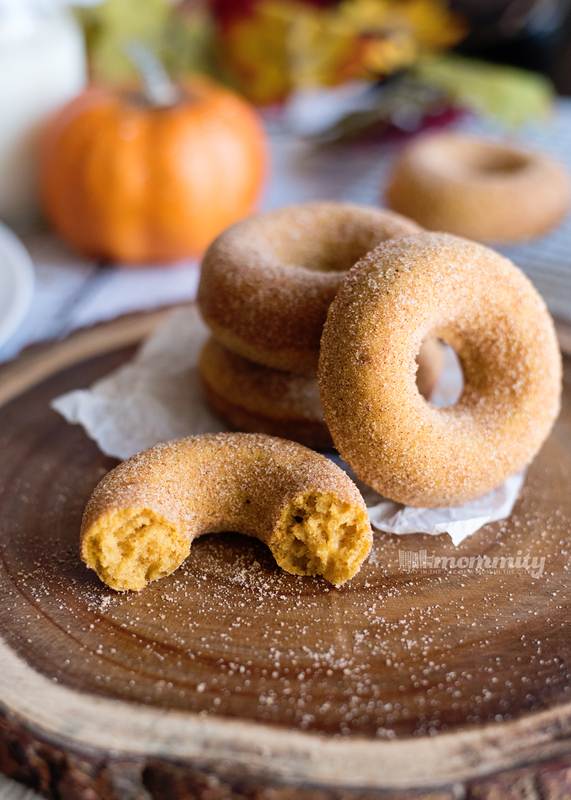 With the perfect recipe and the perfect donut pan, I was able to whip up these beautiful baked pumpkin spice donuts in a matter of minutes. Being a baked donut, I worried about the texture of these donuts. Would they be like cake in the shape of a donut? The answer is no! 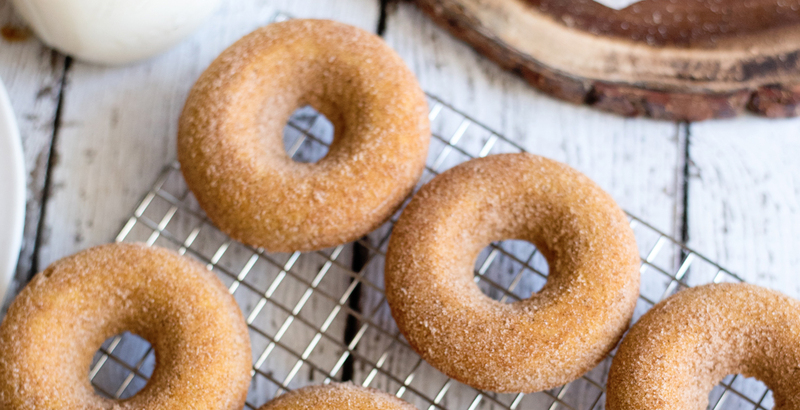 Biting into these baked donuts is almost like a cake, but the texture is so light and soft. These remind me of the pumpkin spice donuts that we buy every year at the pumpkin patch. They are simply perfect! 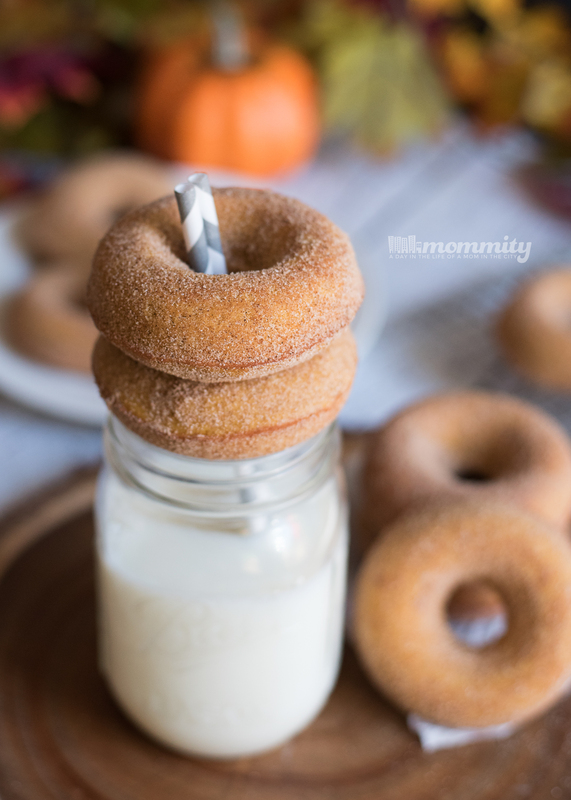 So here are my biggest tips when making these baked pumpkin spice donuts. First, the Wilton donut pan is non stick but you will still want to lightly coat it with a spray. The trick to getting the sugar to stick to your baked donuts is to coat them almost directly out of the oven. I used a toothpick to slide a donut out and quickly threw it into my cinnamon bag, tossed it around and then place it onto the cooling rack. The longer you let the donuts cool before coating, the harder the coating process will be. I absolutely love donuts and I’m excited to bring this donut series to you all! 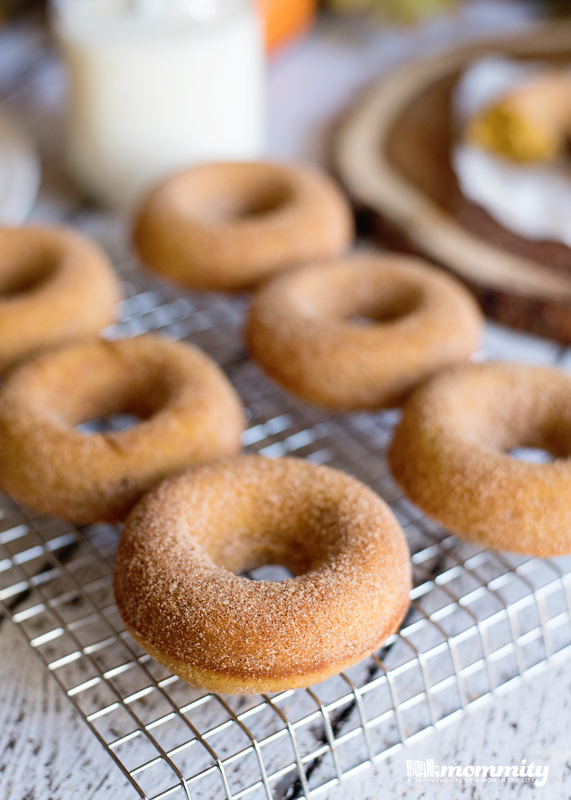 Baked donuts are definitely healthier then the traditional fried donut and they taste wonderful. Be sure to check back each week, sign up for our newsletter and stay tuned for more yummy baked donuts! Prep your donut pan or mini muffin pan with non-stick spray, then set aside. In a small bowl, combine the flour, baking powder, salt, cinnamon, nutmeg and ginger. Then set aside. In a large mixing bowl, combine both of the sugars and mix until well combined. Then, add in the oil, eggs, pumpkin and vanilla. Once mixed, slowly add in the dry mixture and mix until well combined. Leave no lumps behind! Using a bag with the tip cut off, or a piping bag, fill the wells of your donut pan about 3/4 of the way full. Cook in the oven for about 16 minutes. Once removed from the oven, cool for about a minute. Using a toothpick, slide the donut out of the well and toss into your bag of cinnamon sugar. Toss the donut around and then cool completely on a cooling rack. Enjoy!